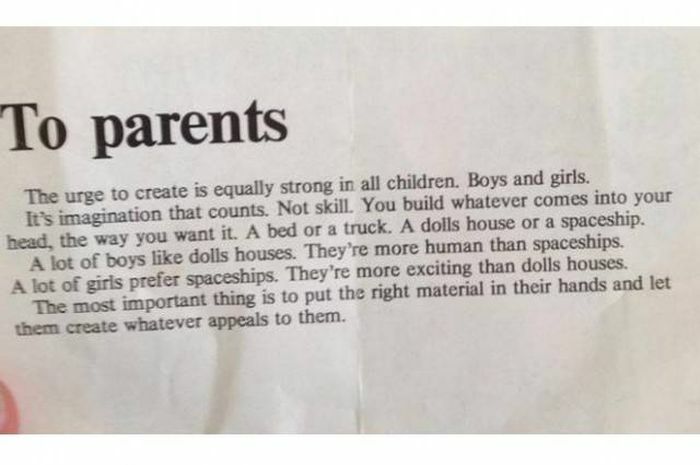 Did this letter from LEGO change the world in the 70s? There's a good chance that it did. I just saw this on Snopes last week, and it was a real thing. 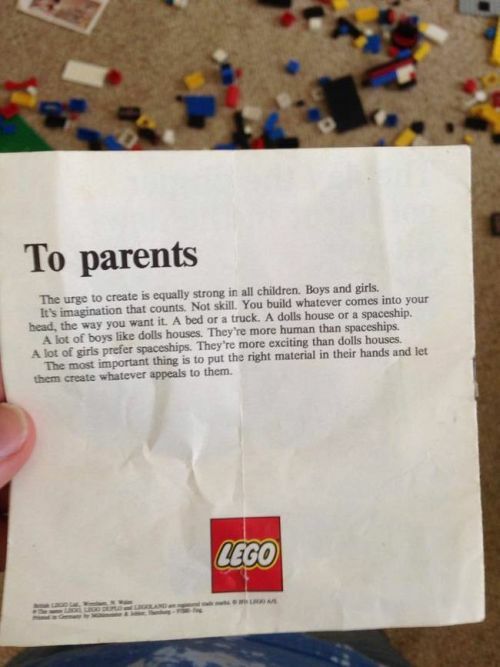 It's pretty self-explanatory, but the letter was put in both "boy" and "girl" sets, although it's not like the bricks wouldn't all ultimately end up in one giant container anyways.